First things first: the most common reason a home does not sell is because it is overpriced. Overpricing your home almost guarantees that you will end up with less money and more stress. In most neighborhoods, home values are relatively consistent. If your house is $100,000 higher than other homes for sale in your area, you’re probably asking too much. One of the great things about using a realtor is that they use market analysis to correctly price your home. A comparative market analysis (aka a CMA) is a detailed analysis of sold homes in the past 6 months in a given neighborhood. Make sure you discuss a CMA with your agent to make sure you’re asking price is realistic. If you’re home has been listed for sale for a few weeks and you’ve only had one or two showings, you should adjust the price to generate activity. Listings tend to get the most action right when they go up so if you’re not getting any open house traffic right from the get go its not a good sign. If your home is priced correctly, you should get an offer within the first two to three weeks. If you haven’t gotten an offer within two months, there’s more than a slight chance your home is overpriced. Furthermore, if your real estate market is in a “seller’s market” – low supply of homes on the market with a large buyer demand – you should get an offer within the first few days when priced correctly. While its true that there are certain kinds of properties that take longer to receive an offer, the average house should not. This usually applied to luxury homes or waterfront properties. In any given real estate market, there can be thousands of agents. When you’re looking for someone to sell your home it’s important to ask the right questions. First, its very important that you understand how the agent came u with the listing price for your home. If one of three agents you speak with suggests a price $20,000 higher than the others, you need to know how they got that number. Unfortunately, some realtors will “buy a listing” which means they’ll suggest a price much higher than the home’s actual value in an effort to get your business. If you hired the one realtor who suggested a significantly higher price than the others, chances are your listing is overpriced. Again, don’t forget to request a CMA! 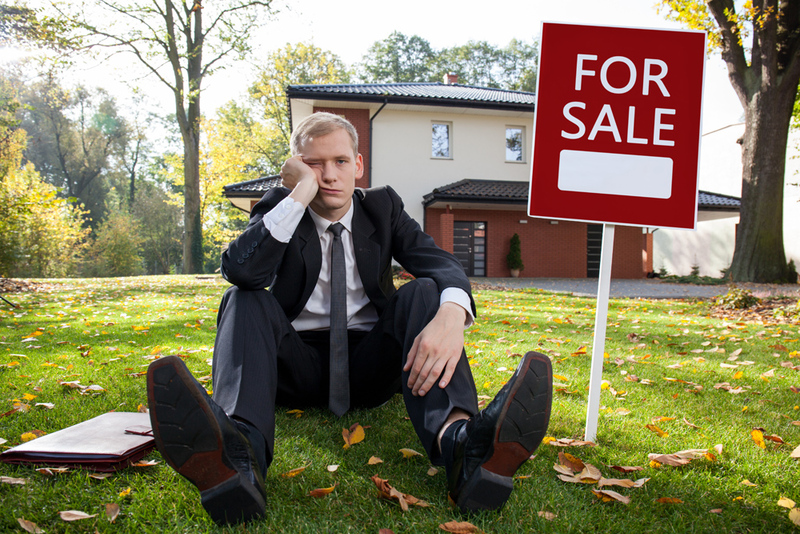 But a good rule of thumb is if other homes in your neighborhood are selling and yours isn’t…. well you know the rest. Feedback from other real estate agents and buyers who are viewing your property can be incredibly helpful. If your not receiving feedback from showings, ask your realtor. It’s important because it allows you to correct things a buyer might have a problem with. If it comes back to you that your home is overpriced, you should definitely consider adjusting the price. Though most overpriced houses won’t receive any offers, some may receive a couple offers that are much less than the listing price. However, if your listing price is way over market value they are probably just offering you the actual value of your home. If you receive several offers that you would consider “low ball” you may need to reconsider your price. It’s so important to make sure your home is priced right. If you put the right value on your home it should sell quickly, especially in today’s market. Make sure you’re working with a knowledgable realtor to ensure everything runs smoothly. Do any of these ring a bell? If so, consider consulting with one of our realtors for a free property valuation.